Celebrating a one year work anniversary is kind of a big deal. even more of that in the first six months. If that doesn’t signify a problem, I don’t know what does. This is particularly noticeable in the world of software, as technology is changing all the time. Most of you would think hiring is a big component of this, and you'd be right. According to the RainMaker Group, hiring problems account for up to 80% of employee turnover. Even if you take the time to hire the best people, that’s still only part of the equation. You'll also need to train them to become true masters at what they do—then work to keep them. Some studies have tried to quantify the financial damage of high employee attrition. One school of thought suggests that replacing an employee costs a company as much as 400 percent of the employee’s annual salary, depending on their role and seniority. Did that make your jaw drop like it did mine? In fact, on average an individual with a salary of $40,000 could cost around 20% of that annual salary simply onboarding training (around $8,000). Just as the graph from OfficeVibe illustrates above, an employer is in the hole on any new employee before they are really even able to kick off their first project. When you peel away the layers, it makes a lot of sense, however. In order to tie up the loose ends one employee leaves behind and see another new hire through to the point where they’re contributing meaningful work, you’re spending loads of time and resources. There’s also a cost to turnover that isn’t as easy to measure: the impact it has on culture. When your business has a revolving door, there’s almost always an underlying uneasiness and lack of security among team members. And an ever-changing team doesn’t get a chance to build camaraderie or synergy since those important elements take time to create. Marketing is a diverse field and many times, employers make the mistake of assuming that all marketers are created equally. “As long as they have certain boxes checked on their resumes, they must be able to do what I need them to do,” they reason. But this is far from true. Especially in SaaS companies, there is so much nuance and know-how required to make marketing initiatives successful. Your marketers have to understand your SaaS product on a technical level, as well as the greater context of the rapidly changing industry, in addition to having a deep grasp of your customers. If you assume your new hires have what it takes without knowing for sure (or training them yourself), they’re likely to be walking out your door in a year’s time or less. 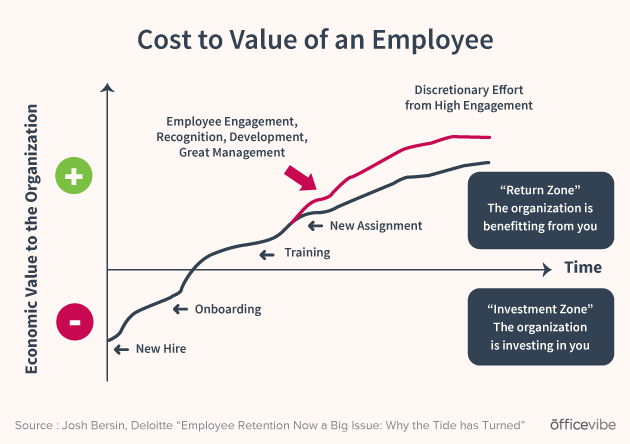 The way to protect against high attrition is by investing in intentional onboarding, proper coaching and regular access to continuous education. If you hire someone new to roll out a campaign around the latest update to your product, you can’t simply have them sign their contract and show them where the bathrooms are. You need to create a thorough onboarding process that proactively answers the most common questions new employees have. Your onboarding process should also identify and walk new hires through the most common frustrations that others in similar roles have experienced. This provides a perfect opportunity for you to match new hires with an existing employee who can take on the role of an active coach. And this, by the way, also means time and intention with training. Meeting for coffee and office gossip once a month doesn’t cut it! Coaches (at least the good ones) need to be taught how to support and empower those they’re coaching, manage the relationship and actually give value. So, your most recent hire graduated with honors from an Ivy League school. Congrats—they’re probably very smart! But, do they know how to gain mindshare of your SaaS solution in a new market? Formal education is important, but it can only take someone so far. In fact, the lion share of what marketers do on the daily isn't what they were taught in school. In order to increase your team’s average tenure, you need to offer endless opportunities for employees to keep learning, and really embrace the "always learning" mentality. Also, we're all very aware positions in marketing & sales today are extremely technology-focused and those technologies change as rapidly as the beat of our hearts. … But What About the Costs? If you’re worried about the cost of providing trainings and courses to your staff, I cordially invite you to revisit the stat that replacing an employee can cost up to 400 percent of their salary. Continuous education doesn’t sound so expensive anymore now, does it? In fact, leveraging existing content like the courses & paths we have at Six Bricks, saves you time and money while getting your team up to speed faster. One of the main reasons many employees leave within a year of starting a new job, especially those in marketing, is because they’re being asked to do things they don’t know how to do, aren’t comfortable doing or are frustrated by. If management wants them to handle advanced segmentation in Marketo, but they’ve only ever dipped their toe in an email send campaign, then they might not succeed, become overwhelmed and ultimately leave. It’s your job to provide new hires with practical training and chances to apply it. If you take nothing else from this post, remember this: If an employee is trained, empowered and supported, they will be happier and more productive. They’ll also be more incentivized to stay on with your company for much more than a year—which is what we all want, after all.